Photo courtesy of Colts Neck Cluster. 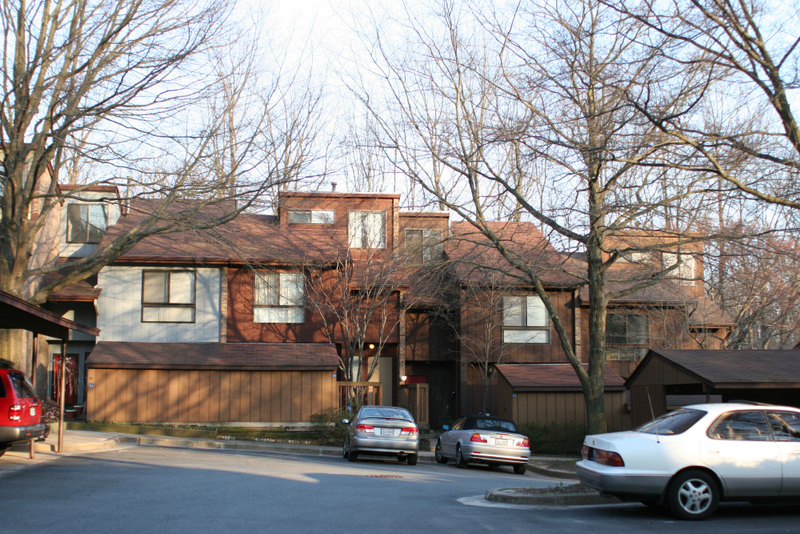 Architect William Bonner is well known in Reston for his contemporary, single-family homes. But he also designed townhome communities. Among them, Colts Neck Cluster on Escalante and Greywing Courts, built in 1972-1973. These contemporary townhomes are 3-levels with cedar siding exteriors, and between 1,600 and 2,000 square feet of living space. This community comprises 60 townhouses in South Reston, near the intersection of Colts Neck Road and South Lakes Drive. Escalante Court is off South Lakes Drive and next to the South Lakes Drive Park. Greywing Court is off Colts Neck Road. The Colts Neck community is close to the Reston National Golf Course and the Hunters Woods Village Center Shopping Center. It is also within two miles of the new Silver Line metro station at Wiehle Avenue. It is within walking distance of the Reston Town Center, Reston Community Center, and Reston Association offices, as well as schools, public pools, tennis and basketball courts, athletic fields, a golf course, community gardens, grocery stores and restaurants, and much more. These lovely homes are perfect for anyone looking for well-designed, contemporary architecture in a close-knit, townhome community.